We’re thrilled to announce that what began as a dream in November 2013 has become a reality today! We have planted 50 baobab trees thanks to the help of our wonderful sponsors. Baobab trees can live to over a thousand years old, are tough and sturdy and can survive near desert-like conditions. So why do we need to nurture baobab seedlings until they are strong enough to survive in the wild? Read our purpose behind this extraordinary project here. 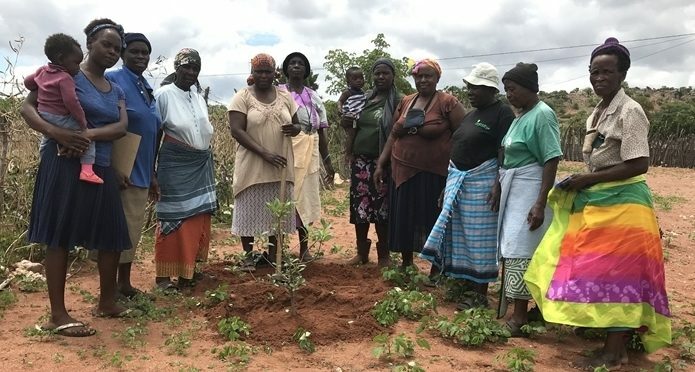 This year, 8 baobab guardians have nurtured baobab tree saplings until they reached 3 meters in height which enables them to survive on their own. We also added another two villages to the program, Mukovha wa Bale and Tshipiese Villages. In total we now work in 4 villages with 50 Guardians (3 men and 47 women). 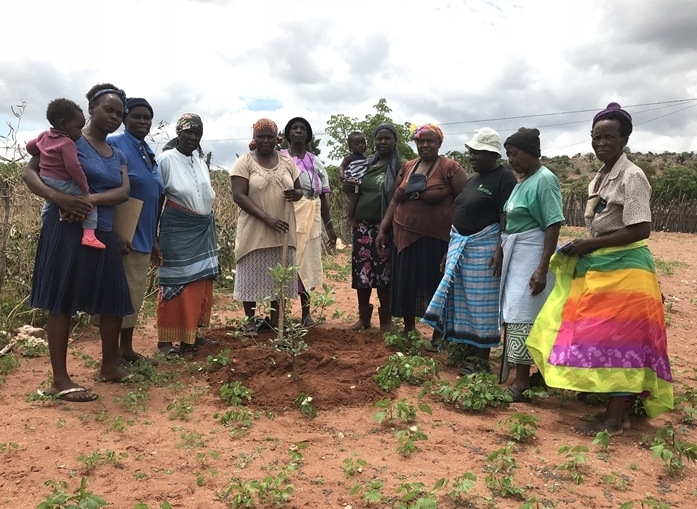 Three trees were planted at a PreSchool – the Mukovha wa Bale Community Creche. The teachers and the children will be looking after the trees. One tree is being looked after by an “old-age” group, called the Light of Mercy Old Age Group. They meet once a week to discuss issues concerning the elderly in the village. This is all part of our mission to help create a Culture of Caring. It begins with how we harvest baobab fruit in a way that’s sensitive to the environment and the well-being of the trees, how we employ people (mostly women) from the local community through to setting up structures like the Baobab Foundation, created to contribute to the urgent need for pre-school creche facilities as well as ensuring the future of baobab trees in the landscape. Protec Botanica, United Kingdom (1 tree). Thank you all so very much! Your sponsorship has made a difference to many lives as well as to the future landscape of the Limpopo.